The Bunburyist: The Suspect (dir. Robert Siodmak, 1944). Directed by Robert Siodmak (The Spiral Staircase), The Suspect is based on James Ronald's novel This Way Out (which fictionalized the Dr. Crippen case). 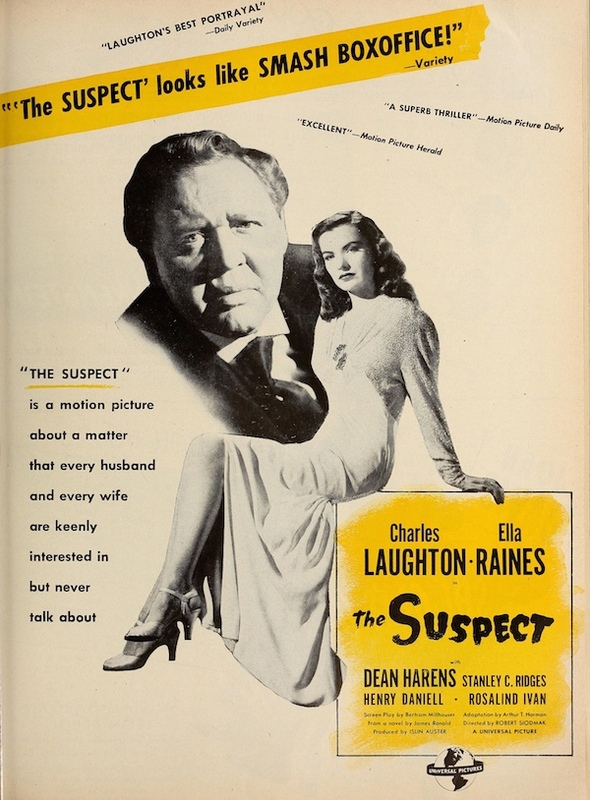 It features Charles Laughton, Ella Raines, and Henry Daniell.